Salome Dunkelberger was born in 1820. She Married after 1844. Sevilla Dunkelberger was born in 1754 at Pennsylvania, USA. She One source said that Sevilla never married. Mrs. Auker said shemarried Henry Shaffer; no evidence available at this time as to whomshe married. She died on 25 April 1845. Susannah Dunkelberger was born on 31 December 1784. She Sponsor at baptism: Magdalena Furster, single. She was present at Susannah Dunkelberger's christening on 22 March 1785. She died in 1835. Wilhelmus Dunkelberger Sponsors at baptism: Wilhelm Kirschbaum, Peter Herder, single womenAnna Maria Berg, Anna Margareta Engels. Age at death: 10 weeks. He was present at Wilhelmus Dunkelberger's christening between 14 April 1715 and 1716; ,,Germany. He was buried between 2 July 1715 and 1716. Amos Dunkle was born in 1845. Charlotte Dunkle was born in 1837. Henry Dunkle was born in 1838. Hercius Dunkle was born in 1846. Isaac Dunkle was born in 1839. Jacob Dunkle was born in 1844. 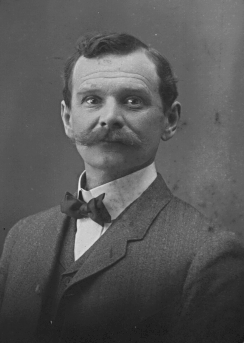 Joseph Dunkle was born in 1854. Lawson Dunkle was born in 1834. Manday Dunkle was born in 1851. Douglass Dunsmore married Matilda Hunter, daughter of John Hunter and Mary Elizabeth Kennedy, at Pennsylvania, USA. Douglass Dunsmore died at Pennsylvania, USA. Barbara Dunsyre married David Reid, son of Andrew Reid and Euphemia Dryburgh, on 23 June 1813 at Scotland. Her married name was Reid. Anna E was born in April 1862 at Ohio, USA. She married J. Kyle Henderson, son of James K. Henderson and Susan Hine, in 1885. Her married name was Henderson. Charles M. Eberhardt was born in July 1850 at Ohio, USA. John Eberhardt was born in 1825 at Ohio, USA. Margaret J. Eberhardt was born in 1848 at Ohio, USA. Edith (?) was born in 1909 at Ohio, USA. She married Clayton Denbow, son of William Evan Denbow and Elsie Gardner, in 1929 at Ohio, USA. Her married name was Edith Denbow. Ralph Edwards was born in 1880 at Ohio, USA.1 He married Mamie Denbow, daughter of Hamilton Denbow and Ellen Thompson, in 1900 at Ohio, USA. [S120] G. Burghardt, "Solomon Egger Conf Cert", Ancestral File. [S157] Solomon Egger, Death Certificate, This death certificate has what I believe is an incorrect birthdate. The birthdate on his confirmation certificate, data probably supplied by his parents, seems to me more likely to be accurate than the date on this form supplied by his wife. The month and day are the same, but the confirmation cerfificate has the year as 1864 rather than 1866. His tombstone has yet another year. Unless I find convincing information to the contrary, I'm going to use the 1864 date as primary. [S120] G. Burghardt, "Solomon Egger Conf Cert", Ancestral File, Lists date of birth but not location. [S120] G. Burghardt, "Solomon Egger Conf Cert", Ancestral File, This certificate is printed in German. It is very ornate and pretty. [S156] 1900 U.S. Census, http://www.denbowtree.org, Sched 1, Center Twp, Monroe County, Ohio, SD 15, ED 91, sheet 4159, dwelling 365, family 366. Cecil Conrad Eidt was born in 1900. He married Margaret Francis Brickett in 1920. (?) Elizabeth was born in 1793 at Pennsylvania, USA. She was also known as Elizabeth Fewry. She died on 11 May 1871. She was buried at Vinton, Ohio, USA. (?) Elizabeth was born circa 1710. She married Thomas Denbow, son of John Denboe and Jane Woodfield, circa 1730 at Maryland, USA.1 As of 1730,her married name was (?) Denbow. [S105] Robert Barnes, "The Barnes Report."